Moms who are employees of Doctors Hospital in Laredo Texas now have a very nice nursing mothers room (lactation room) provided for them to express breast milk during the work day. The lactation room located in the Women's Center Lobby on the Labor and Delivery Floor, is fully equipped with all the amenities needed for a comfortable experience expressing milk, and is open 24 hours a day. 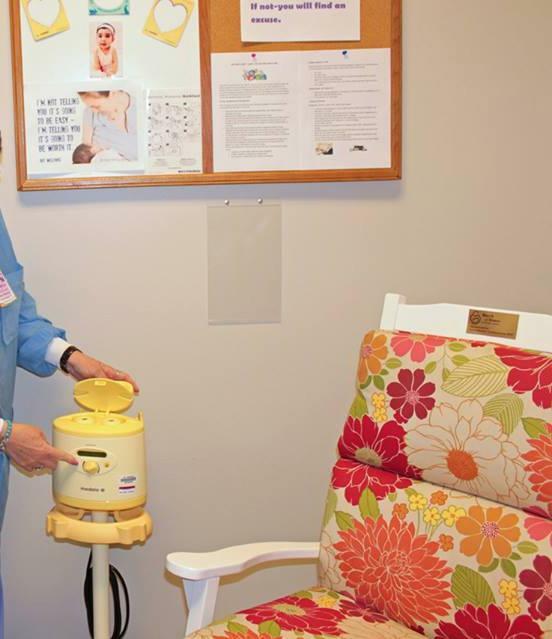 These amenities include hospital-grade electric breast pumps, decorated wall with portrait, a disposal container, a sink with soap, nice plant decor, and very comfortable padded seat next to the breast pump.